Senior PR figures have praised Publicis Groupe's response to comments by Saatchi & Saatchi's executive chairman on gender diversity, and urged further discussion of the issue. 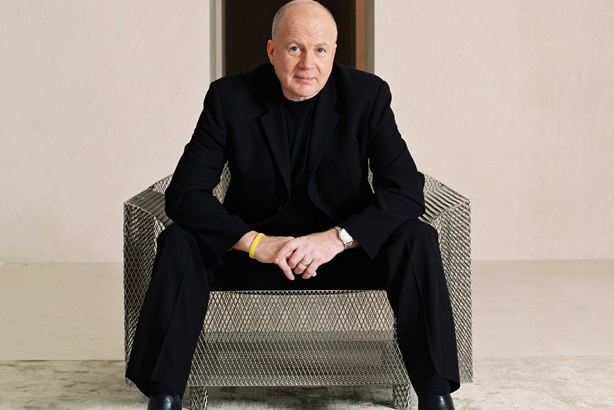 Kevin Roberts has been put on leave by the creative agency's parent firm Publicis, after saying in an interview with Business Insider that the "debate is all over" regarding gender diversity in the advertising industry. He said that, rather than holding ambitions to progress within management, many people (women and men) simply wanted to be happy and do great work. "Their ambition is not a vertical ambition, it’s this intrinsic, circular ambition to be happy," he said in the interview. In a statement, Publicis said it had a "no-tolerance policy towards behaviour or commentary counter to the spirit of Publicis Groupe and its celebration of difference as captured in the motto Viva la Difference! ", and announced that Roberts had been "asked to take a leave of absence from Publicis Groupe effective immediately". Roberts also criticised advertising consultant Cindy Gallop, who regularly speaks out on gender issues within the industry. Last month VaynerMedia came under fire for an invitation to a Cannes event co-hosted by the agency, saying it was for "attractive females and models only". Gallop tweeted a picture of the invitation, criticising it. Roberts said: "I think she’s got a lot of problems that are of her own making. I think she’s making up a lot of the stuff to create a profile, and to take applause and to get on a soap[box]." She responded to his comments by saying: "The best response to that is to throw it open to the industry, and ask the women and men of the ad industry, all around the world, to tweet at @krconnect to let him know whether they think I’m ‘making it all up’." Many duly did after the article was published. Ali Gee, deputy CEO of London's FleishmanHillard Fishburn, told PRWeek she felt there were some positives to take away from the incident. Gee said: "Two things struck me. First, how impressive it was to see Publicis take such a clear and immediate stand on the matter. He said it. He was stood down. Clear. That’s how it’s done. "The point he’s missing here is that men and women want to be happy," Gee added. "It’s not an exclusive aspiration. Nor a gender-driven one. Some women aspire to be number one, other’s don’t. The same goes for men. Our job as leaders is to ensure that talent is nourished, aspirations are enabled and gender simply doesn’t figure." One concern is that Roberts’ opinion may not be a minority view. Peter Bowles, co-founder of Dynamo PR, said: "I don’t think Kevin Roberts’ opinion reflects a wider view in the industry, but I’ve certainly seen both best practice and everyday sexism at present at different agencies." A more visible display of this in the PR industry, he said, was the gender pay gap: "Like Saatchi we have an industry that is around 70 per cent women, but successive PRCA and CIPR surveys show not enough women are in leadership roles or paid equally." He added that Dynamo had decided to ensure the leadership team was 50:50 men and women, and to benchmark salaries and have staff sitting on a dedicated diversity team to "keep us in check". There is the risk of jumping to conclusions when Roberts' quotes are not taken in context, Mary Whenman, president of Women in PR, pointed out. "There are shades of grey in this one," she said, adding that some of the issues flagged by Roberts "deserve wider debate". She said he was wrong to say there was not an issue when "the data speaks for itself". "I think on his point about women not wanting to work in the dinosaur way that men work – there is some validity to that," she continued, suggesting that as women are getting into more senior roles, many are aiming to "challenge current structures and how people traditionally work". Whenman said Women in PR's newest survey recorded an increase in women going freelance, working flexibly and setting up their own businesses. "He could have articulated that point better," she added. She also said the change in how people want to work was a trend that should be examined in more detail, but that this was not just about women but also applied to men, and millennials in particular. Jack Irvine, executive chairman of Media House International, said he felt the comments were indicative of a problem across the business world. He said: "I think women still get a raw deal in most industries and the short-sighted attitude of many male bosses is not only disgusting, it’s downright stupid. It’s bad for business and counterproductive."